I decided to purchase some Mantic models to see what they were currently like. In the past I have purchased their Zombies (Great), Skeletons (not so great) and their Werewolves (bloody awful). 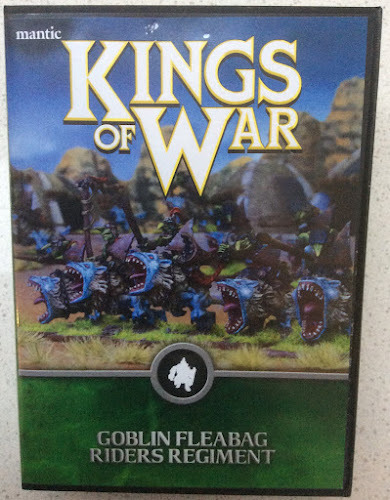 For my Ogres and Jack's Goblins we needed Fleabag Riders so I bought a box of 10 from Mighty Ape on a Friday and they were with me after the long weekend. They come de-sprued in plastic bags. Unfortunately a lot of tabs are left on the models. You can see the tabs on the models in the photos below. It took me a good 30-60 minutes to remove all the offending bits. 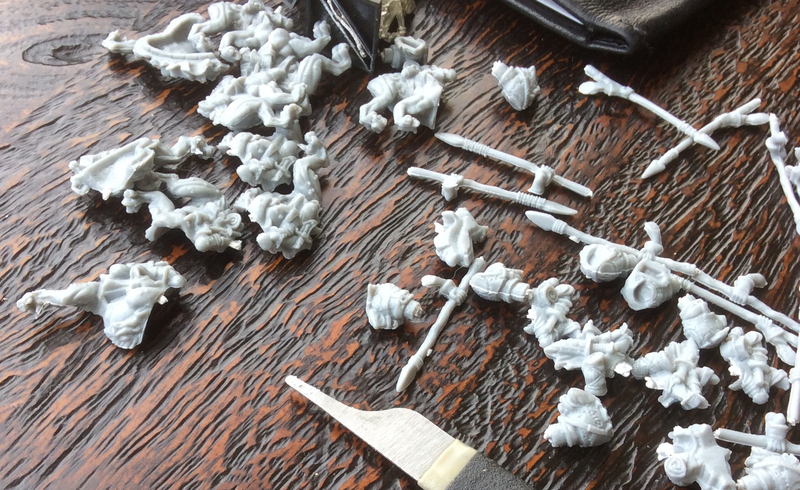 I have obviously been spoiled by GW as I then had to go about the foreign concept of removing mould lines. And there are shitloads. I reckon I spent almost a couple of hours - the World Cup Third Place game - to get them to a presentable state. Finally I had to assemble them and let's say I'm not a big fan of restic. A lot of pieces were bent and there are some enormous gaps that require filling. Overall I wouldn't rush to buy the models again. 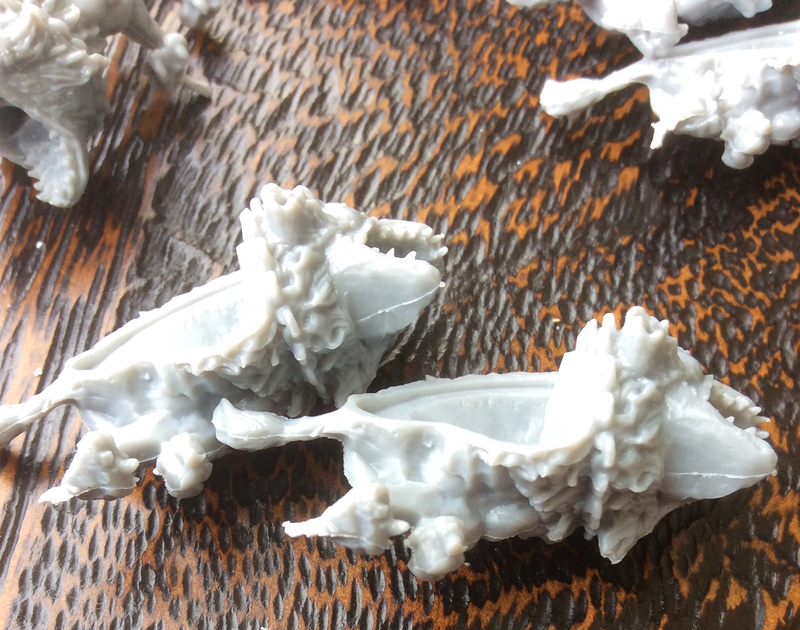 Nothing against the sculpts - just the material is bloody awful. My preference in future would be to big up alternatives second hand. The sculps themselves are pretty "meh". There appears to be 2-3 varieties of Fleabag and you get 15 heads and right arms. There is also a small metal command set however I was struggling enough with the material before introducing metal and superglue to the mix. I like the models but i think the material they use is awful. I thought the skeletons are excellent . I find with mantic stuff you either like it or hate it, not a lot of in between. I should say that the material isn't bad to paint up and the fleabags look cool when painted - They ain't Squigs but they are a cool design. 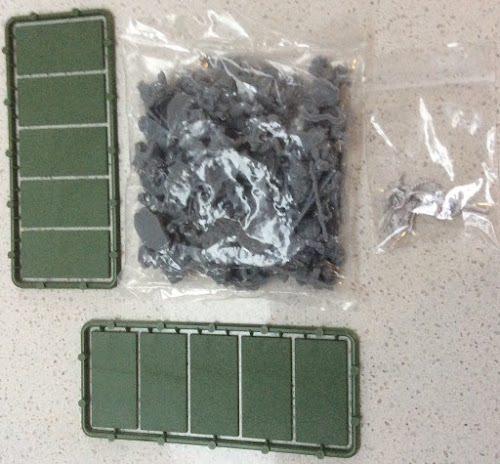 Having built several armies using this material there a couple of big things Pete when working with restic. First up use a new knife blade to cut & scrape the mold lines- don't try to file them or use something like the citadel mold line remover as that will just take forever. Second, you need to use heat to help straighten the parts- either a hair dryer or hot water. Especially with stuff like the fleabags which are in 2 halves. Pop both into a bowl of hot water, leave them for 30 seconds and then press them together & you'll get a tight fit with minimal gaps. Those 2 things will save you a lot of frustration and time. Having done both of these I can say they do work - but add a significant amount of time into the construction phase. Probably doubles the amount of time I would be able to build a similar sized plastic kit from a more expensive plastic manufacturer like GW. 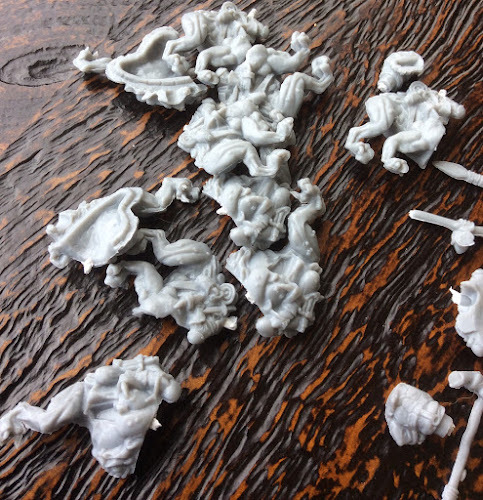 They seem to be better at the smaller scale as I found the zombies and skeletons went together well, while things like the trolls and werewolves were time consuming and frustrating. 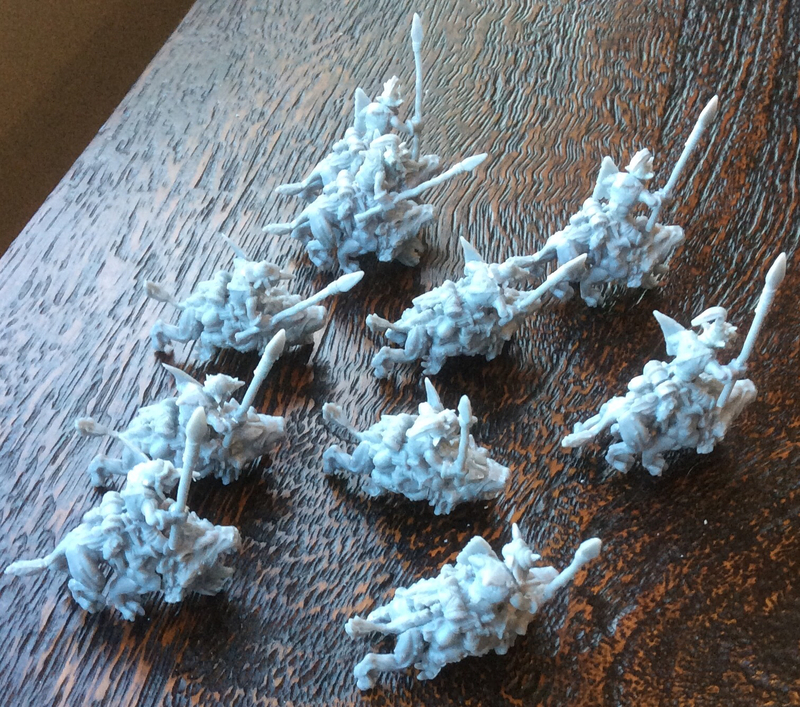 I like the results of all the kits I have picked up (with the exception of their undead cavalry... ugh), but the significant amount of time required to get them built gives me pause. It will be interesting to see when they have some larger stable revenue streams and a decent player base if they investigate more expensive but superior materials. They've been phasing it out for a while on all the newer sculpts like the new ogre hunters & zombie trolls which have shifted to metal & the last 2 kickstarters were restic free. Don't think he meant that, I think he meant it was bad enough dealing with flash and poor dry-fit of the Restic parts before adding the issues of metal parts and actual gluing. +1 to David, I've also read that they've phased out Restic as a material now which is good news.